Former steeplechase world champion, Hyvin Kiyeng, is proving to be the person to beat in the women’s 3000m steeplechase. After winning the Rome Golden gala, she was once again victorious at Oslo. But this time she had to fend off a strong challenge from American Emma Coburn who is also the Olympic champion. Coburn led for much of the race before Kiyeng took over in the last lap. She tried to shake off Coburn. But the American made a spirited comeback after he last hurdle. But it was not enough to catch Kiyeng. Daisy Chepkemei finished a creditable third ahead of Olympic silver medalist Courtney Frerichs of the USA. It was a big win for Kiyeng. At the 2017 world championships, she lost to both Coburn and Freichs and ended up settling for bronze. The race was a disaster from an organization persspective as one of the barriers was set to high causing the runners to run the first two laps with a higher hurdle. In the process, Commonwealth games champion Aisha Praught ran into the barrier. World champion, Elijah Manngoi shrugged off a dissapointing season to win the men’s mile albeit in a slowish time of 3:56.95. In the process, Manangoi had to fend off a late challenge from Sadik Mikhou who came back strongly in the final 100 metres. 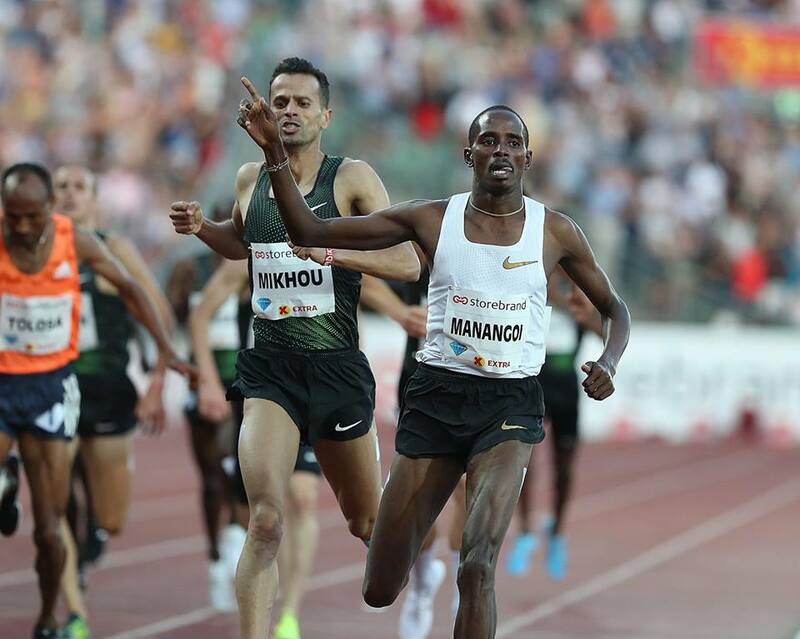 It was welcome win for Manangoi, the current world champion. He had yet to win a race in the 2018 Diamond League, having finished second and third respectively. This entry was posted in Kenya Athletics News, Kenya Sports news and commentary and tagged 2018 Diamond League, Dominic Kiptarus, elijah manangoi, hyvin kiyeng. Bookmark the permalink.